YII is an acronym for "Yes It Is". With surging adoption of PHP in recent years for scalable projects, YII has gained popularity as advanced framework for gigantic and ambitious projects. 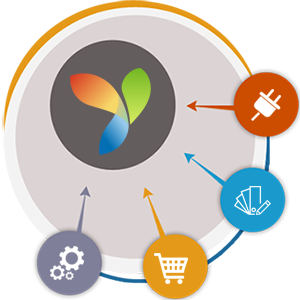 While YII can be used for all size and scope projects, it is best utilized for enterprise wide applications managing huge traffic effectively. Experienced team of reputed developers at WebAppMate can help you to develop robust, scalable, attractive and customer friendly results. If you already have an ambitious project to be deployed on Web or even if you are planning for something huge; it's prudent to connect with WebAppMate team and leverage their industry wide experiences.